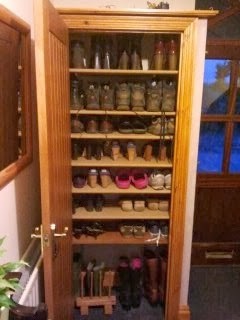 For a while now I have wanted a better way to store shoes in the hall. As the boys have got older the shoes have multiplied and the shoe storage benches that we put in the hall when we built the house were full to bursting. Mark's solution was not to buy any new shoes but that was not an option! All the shelves are different heights so that I can maximise storage space, tall boots and wellies are at the bottom and there are shelves for heels and flat shoes. 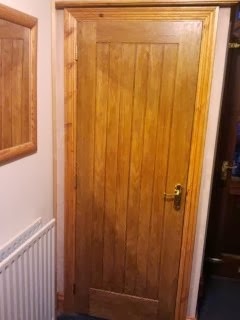 It has solved all our shoe storage problems and made the hall look much tidier too.